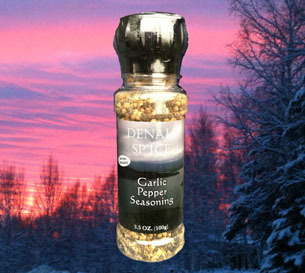 Our Garlic Pepper Seasoning is a blend of whole herbs and spices including garlic, black peppercorns, onion, brown mustard seed, and spices (no salt). A built in grinder top makes it easy to have fresh ground flavor every time. Our seasoning is perfect for meat, fish, pasta, potatoes, coleslaw, roasted veggies and added to warmed olive oil for dipping.